Securing your little one in the car seat is one of the most challenging moments when leaving the house. 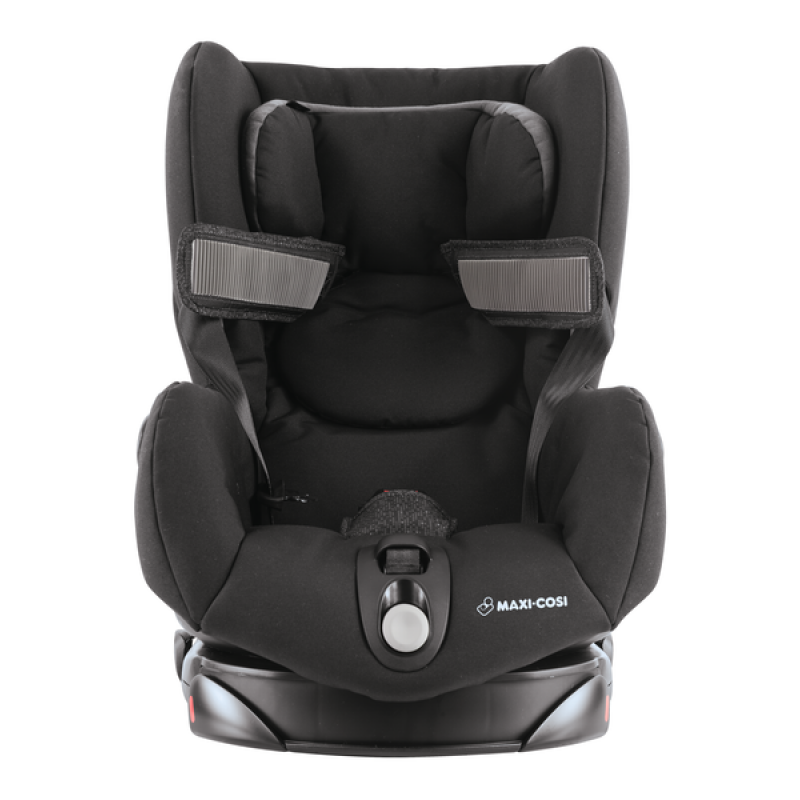 The Maxi-Cosi Axiss (9 months - 4 years) has a 90 degrees swivel which makes it much easier to secure and take out the child. 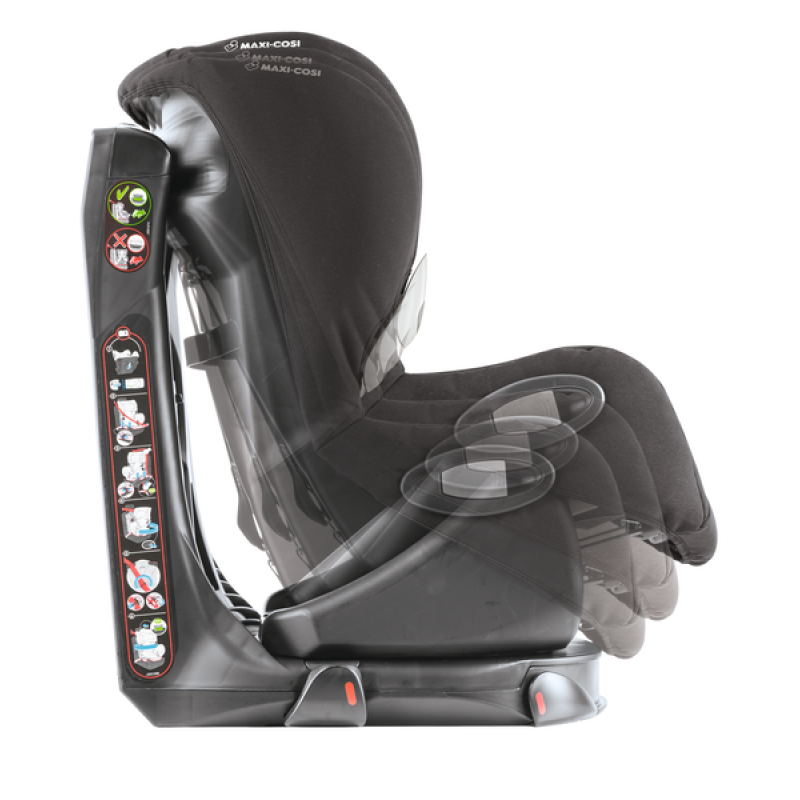 This toddler car seat makes buckling up your child a smooth and carefree experience. Rotating 90 degrees to face the door, the Maxi-Cosi Axiss makes it easy to gain access to your little one. This handy swivel feature is ideal for protecting your back against injury caused by bending and stretching. And it makes it easier to take your child out without disturbing them if they’ve fallen asleep during the journey. 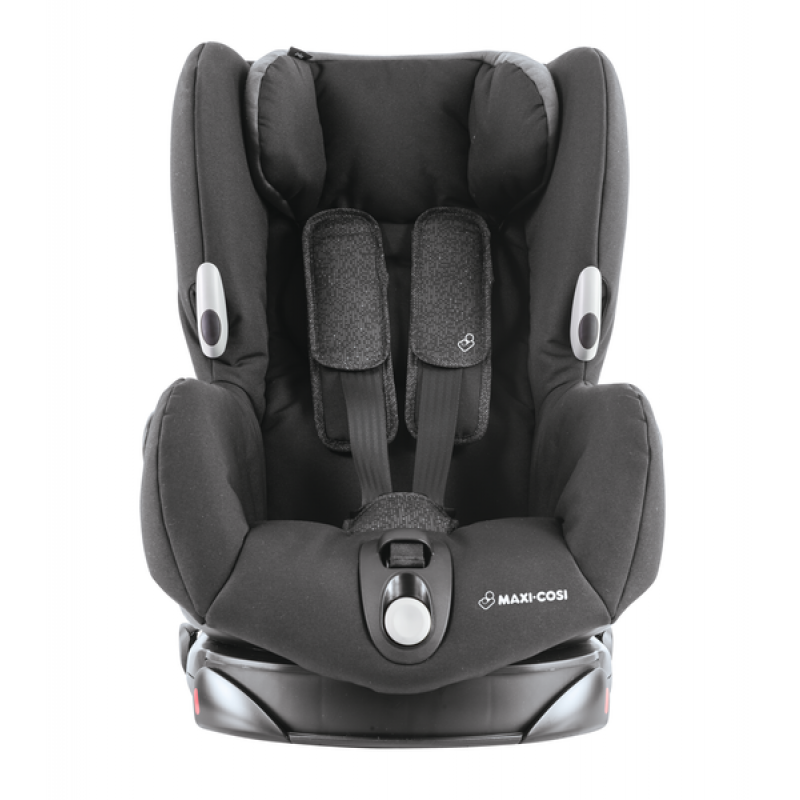 A Group 1 car seat suitable for 9 to 18kg, the Axiss has all the superior safety features you’d expect. Its Side Protection System offers the best possible protection in the event of a side impact collision. A must for design-conscious parents, it’s been engineered for comfortable travel and ease of use, too. 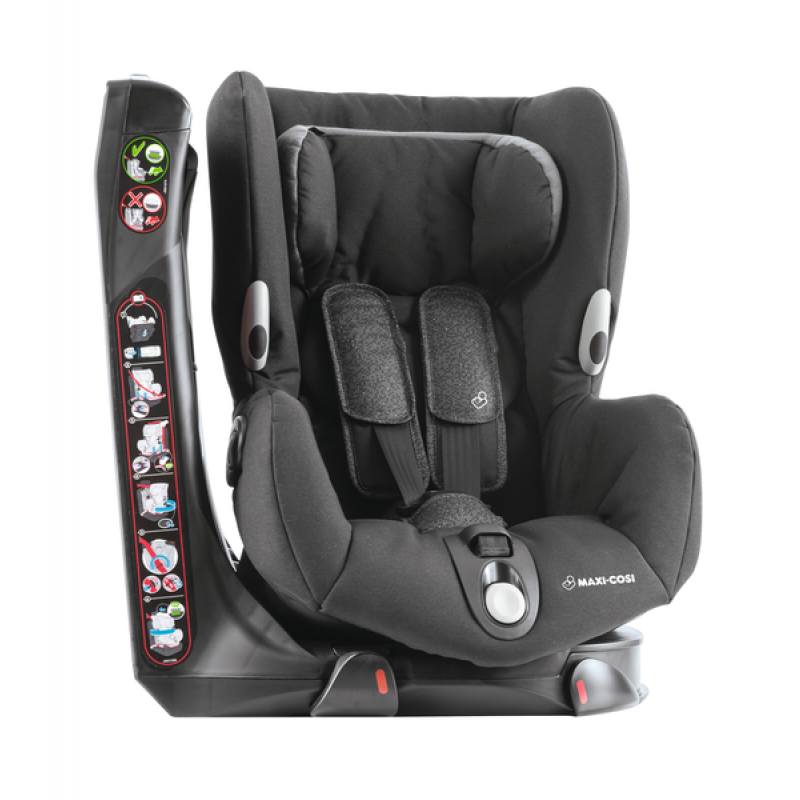 The Maxi-Cosi Axiss is quick and easy to securely fit in place in almost any car. It uses your car’s three-point seat belt and has a simple, intuitive routing. There’s also a belt tensioning system and automatic locking for your peace of mind. The car seat can rotate either left or right, so can be used on either side of your car. And when it’s time to set off, a colour indicator confirms it’s safely locked facing forward, and ready to go. 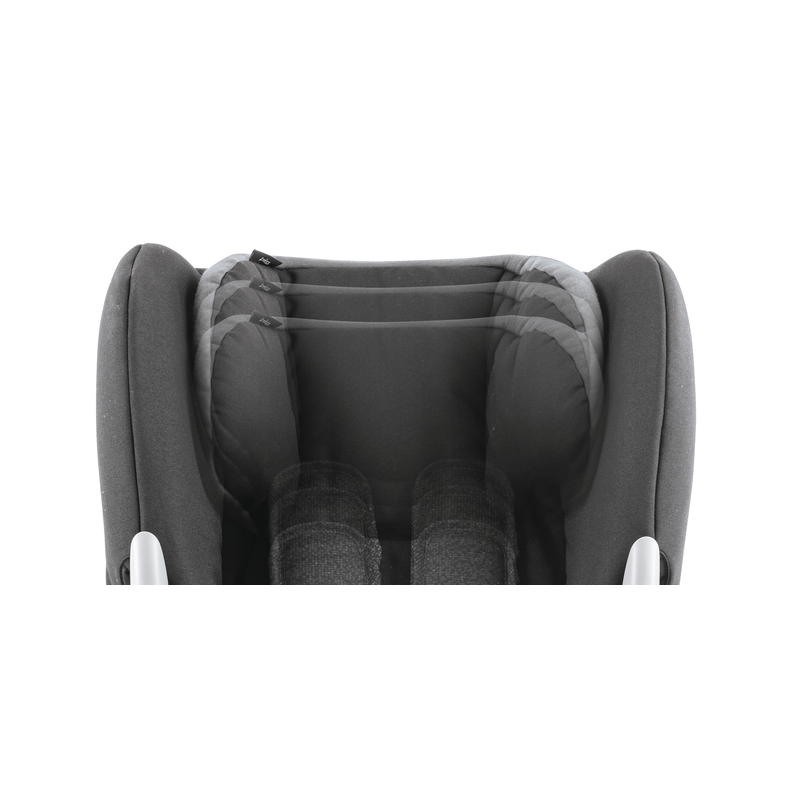 Deluxe extra cushioning ensures the Axiss is comfortable to sit in and the harness is padded too. There’s a choice of eight recline positions, which take the seat from upright to sleep mode. Reclining positions are adjusted using a lever at the front to easily switch during your journey. 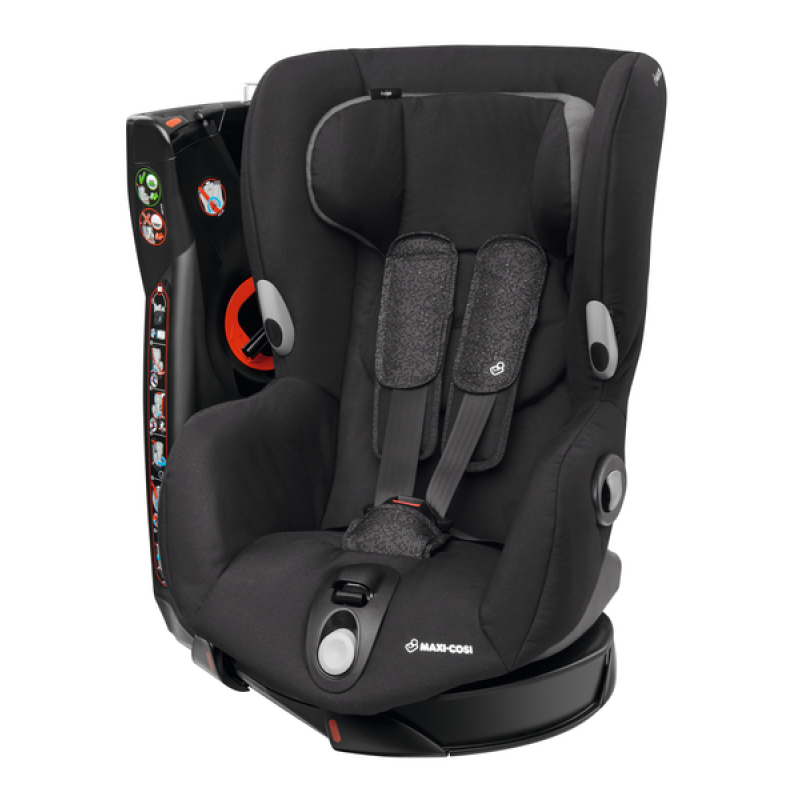 The secure five-point harness adjusts together with the headrest for a supportive fit as your child grows. The hardwearing seat covers are chosen with style conscious parents in mind. 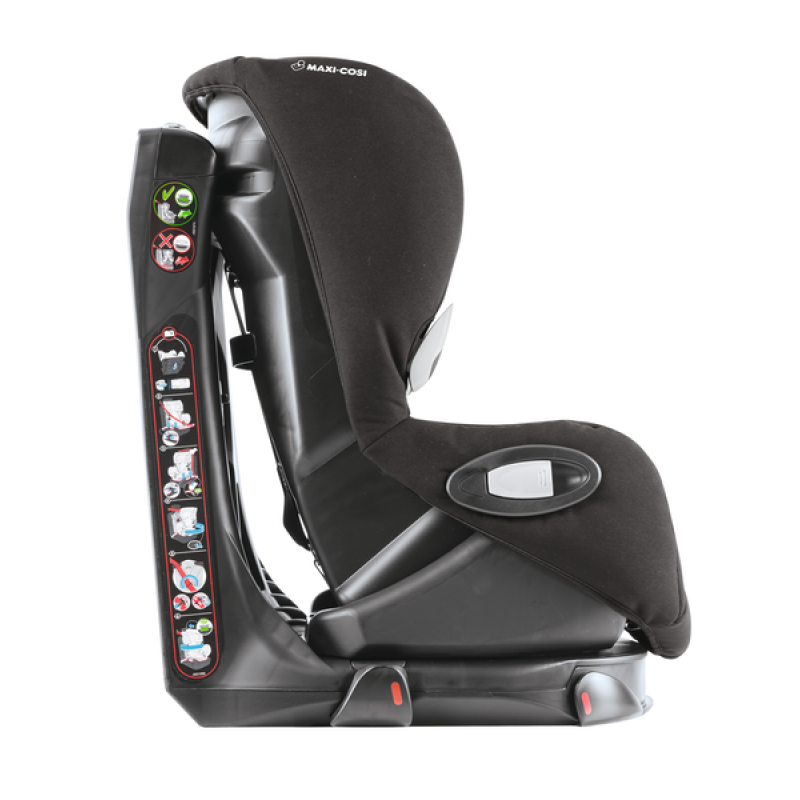 Compare our full range of toddler car seats, including the Maxi-Cosi Priori XP, Maxi-Cosi Opal, and Safety-1st Baby Cool. I've been using this for around 18 months now, I love it. I saw a similar one in a friends car and loved the idea of a swivel to get out. I have never regretted buying it, it is so easy to get my little boy in and out. He's now passed the straight back refusal to get in but it was a huge benefit when he was doing that. It's still easier to get him in and out of than the standard fixed seats I use in my mums car. Seat still looks like new after 18 months too, I've just changed cars and when lifting from the old one there was no damage at all to the seat underneath. The covers come off fully so it's easy to wash too. There are a couple of places that raisins can disappear into which means it regularly needs hoovering out. Release button for harness is very stiff. This is great so that boy cannot press it himself and get out but I do break a nail on it regularly. I'd rather loose a few nails than a child though so still a huge pro for me. Easy to adjust for a growing child, don't need to remove seat from car just tilt and lift. It's a heavy seat so not ideal for swapping from car to car but easy to fasten in if this is necessary. It gets a lot of attention from other parents for the swivel factor. I'm 100% happy with this product, wouldn't be worth having in a 3 door car though. I love this and would definitely recommend. Being able to move seat towards you means you don't have to stretch out as much and as I have a bad back this really helped.